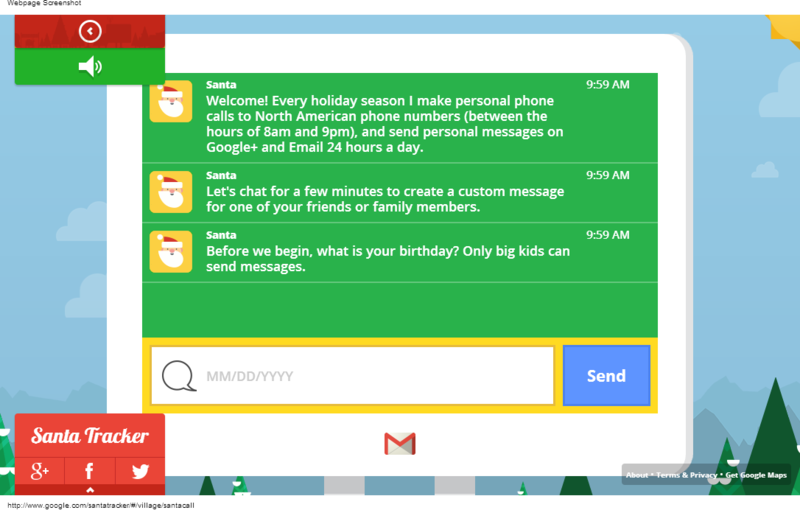 Google has lost its traditional Santa Claus tracking partnership with NORAD – the North American Aerospace Defense Command – to Bing, but the search giant hasn't lost its Christmas spirit. At the center of the site, is a countdown clock that ticks off the seconds to St. Nick’s scheduled departure from the North Pole as he begins his annual journey to deliver gifts around the world. At the left corner of the tracker page is a pulldown menu with links to all the ways offered by Google to track Santa – Google+, an Android app, Chrome browser extension and Google Earth app.